In its 10th year, CORE intersects with artists nationally and internationally, while continuing to expand its reach by offering key components this year. 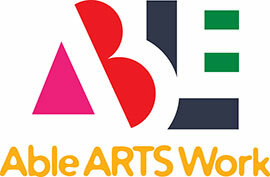 In addition to the high quality of visual arts that will be showcased, CORE 10 also include a complete evening of live performances, a panel discussion bringing together diverse voices from the arts and disability advocacy communities, and a community workshop event inviting the public to take part in an interactive arts experience. CORE continues its mission to provide space and context for artists, community members, and arts and disability advocates to build common bonds and promote visibility through a diverse arts forum.